Trigger points are extremely painful knots in muscles that are usually felt in a localized area. Trigger points are persistently painful, and the pain increases when the muscle contracts or when pressure is applied to the area. The knots or lumps that form beneath the skin are a result of a piece of the tissue surrounding your muscle, called the myofascia, contracting and remaining constricted. The condition restricts vital blood flow to the area and radiates pain to the areas surrounding the affected tissue. Trigger points are most often located in the back, shoulders, and neck. Unfortunately, trigger points won’t go away on their own. Some trigger points may go dormant and stop radiating constant pain, these are called latent trigger points. Latent trigger points still cause significant, crippling pain when any pressure is applied and are tender to the touch. If left untreated latent trigger points can cause chronic stiffness and weakness in the affected area, irregular movement patterns, and limited muscle ability. Latent trigger points are always subject to aggravation which could be anything from an awkward sleeping position to stress. When agitated latent trigger points can reactivate and cause constant severe pain. A trigger point is a localized, irritable, taut band of muscle that has become a source of considerable pain because it will not relax. When a trigger point is pressed, it will feel sore in the area and can also refer pain over to another part of the body. Trigger points are most often caused by factors related to lifestyle choices. Vitamin deficiency from a poor diet or a sedentary lifestyle can put you at high risk of developing a trigger point. Some injuries to your muscle can result in the condition as well as overuse and increased pressure on the muscle from physical activity. Poor posture could also put you at risk for trigger points. Trigger points can be a result of other conditions like some joint disorders, obesity, hormonal changes and spinal conditions. Trigger point injections deliver effective and fast relief from trigger points and are done in-office in a procedure that takes just a few minutes. 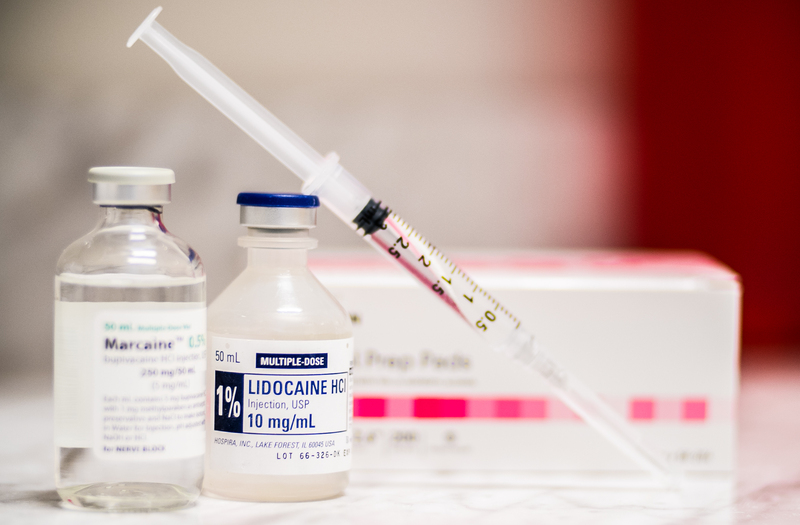 The trigger point injection is a combination of an anesthetic, saline and a corticosteroid. The mixture delivers immediate relaxation to the muscle to eliminate pressure and tension. The injection helps to return blood flow to the area allowing the body’s natural healing factors to reach the affected tissue and muscles. Trigger point injections are applied directly to the site of the affected trigger point. 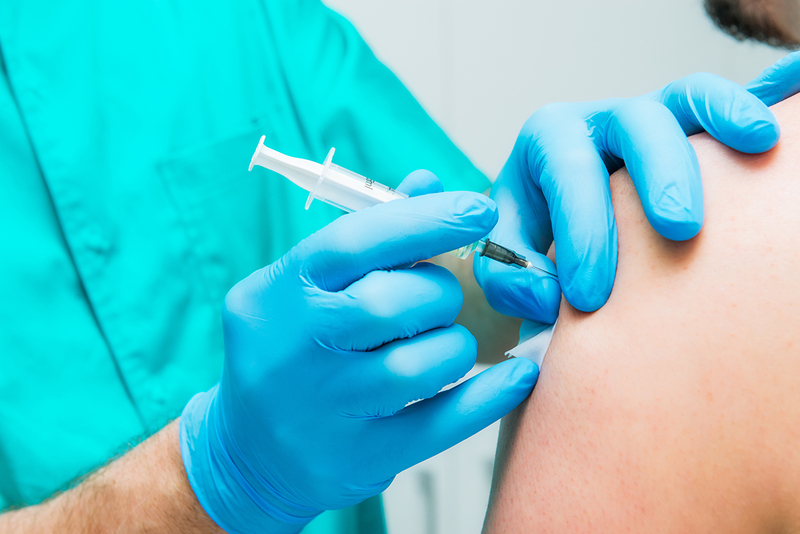 Depending on your needs, you may receive more than one injection to address the affected muscle group if you have more than one trigger point. Our specialists will be better able to determine how many trigger point injections you need and how often you will need to repeat the procedure following an exam and consultation. Trigger point injections are also a highly effective treatment for fibromyalgia pain and migraine headaches. Trigger point injections are a safe alternative for patients who have failed to respond to other treatments. You are encouraged to limit activities immediately after your injection, but many patients are free to resume work and normal activities on the day following the treatment. Injecting a trigger point with anesthetic, saline, or a corticosteroid can relax the muscle and help to eliminate the trigger point. Without the injection, a trigger point can lead to the development of other trigger points. Trigger point injections may be the answer to stopping your chronic muscle pain and reclaiming your life. Call our skilled team at Revive Wellness and Rejuvenation to talk about your pain concerns and schedule your free consultation today.